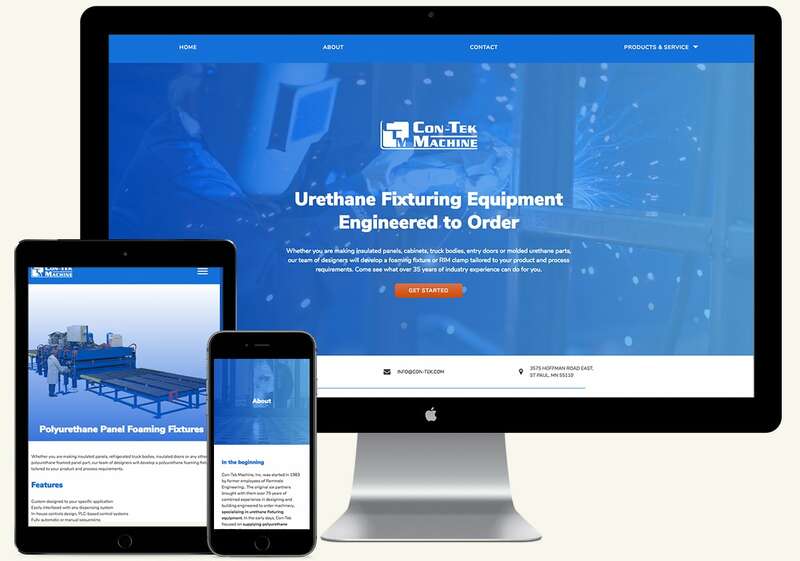 Con-Tek Machine, a custom manufacturer with a 30-year history of expertise in their field, had a pre-existing website which had dutifully sustained their business without any major design updates for over a decade. With a new brand look and a desire to accommodate mobile web traffic, it was time for an update. Starting with a clear objective in line with their history, Con-Tek needed a site that reinforced their expertise and quickly led potential customers to get in touch about their custom urethane fixtures. We started with a full audit of the existing site architecture, content, and user experience. With some clear improvements, we designed a user experience that led every interaction to the first step in each Con-Tek customer’s journey: initial contact. Moving to the browser, I built a custom mobile responsive WordPress theme allowing for simple, ongoing maintenance of the content by the Con-Tek Machine team. It was a pleasure to work with Con-Tek Machine. I can only hope the new site holds up as well as their last one! Maybe the lessons learned here could apply to your project, too. Want to talk further?